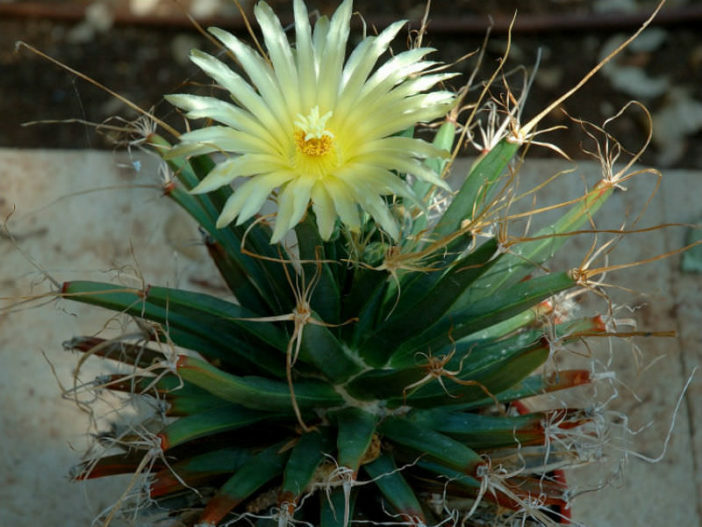 Leuchtenbergia principis is the sole species of the genus Leuchtenbergia. It is very slow-growing but can eventually grow up to 2.3 feet (70 cm) high, with a cylindrical stem which becomes bare and corky at the base with age. It has long, slender, grayish-green tubercles up to 3 inches (12.5 cm) long, with purplish-red blotches at their tips. 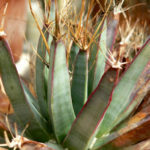 The tubercles are topped with papery spines, making the plant resemble an Agave. 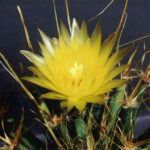 After four years or so, yellow, funnel-shaped flowers up to 2.4 inches (6 cm) in diameter may be borne at the tubercle tips. The fruit is smooth and green, up to 1.2 inches (3 cm) long and 0.8 inch (2 cm) broad. 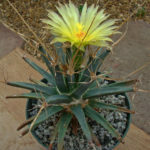 The Agave Cactus is a reasonably easy and tolerant plant, and should grow well given the basic guidelines for growing cacti and other succulents. 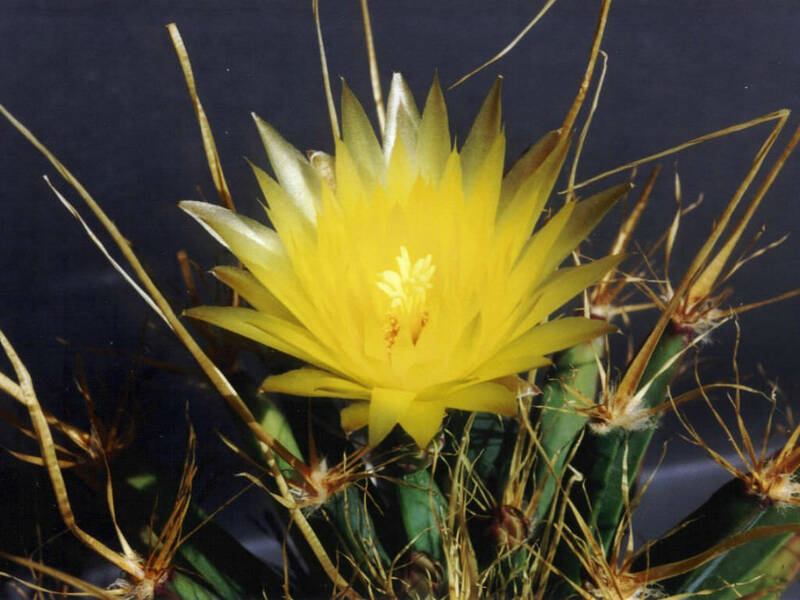 However, this is a desert species, which is adapted to arid conditions, and seems to benefit from intense solar radiation. It should always be moved to a position outside during the warmer months of spring through early fall to benefit from exposure to direct sunlight, and the increased temperatures of summer. Grown exclusively indoors, this species will slowly languish from the comparatively low light levels of interior spaces, and will probably never really thrive. Grown outdoors, this plant has proven to be a reliable bloomer, invariably producing intermittent blooms from late June through September. Despite its desert origins, Agave Cactus tolerate a remarkable amount of rain through their outdoor growing season, but due to their large, turnip-like roots, they can be very susceptible to root rot when exposed to extended cool and wet conditions, so the potting medium should be especially gritty to provide that extra drainage necessary for this species, and extra care should be given through the winter months to prevent over-watering this species. 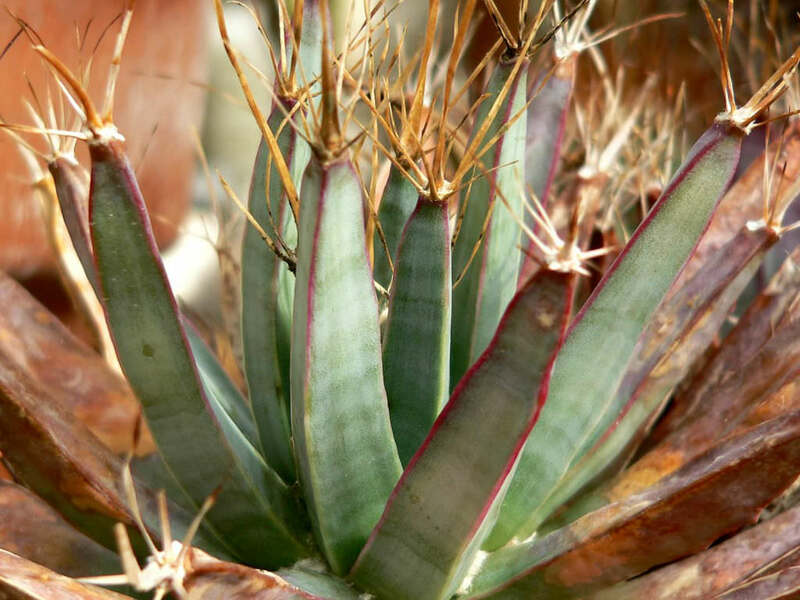 – See more at… – See more at: How to Grow and Care for an Agave Cactus (Leuchtenbergia principis). 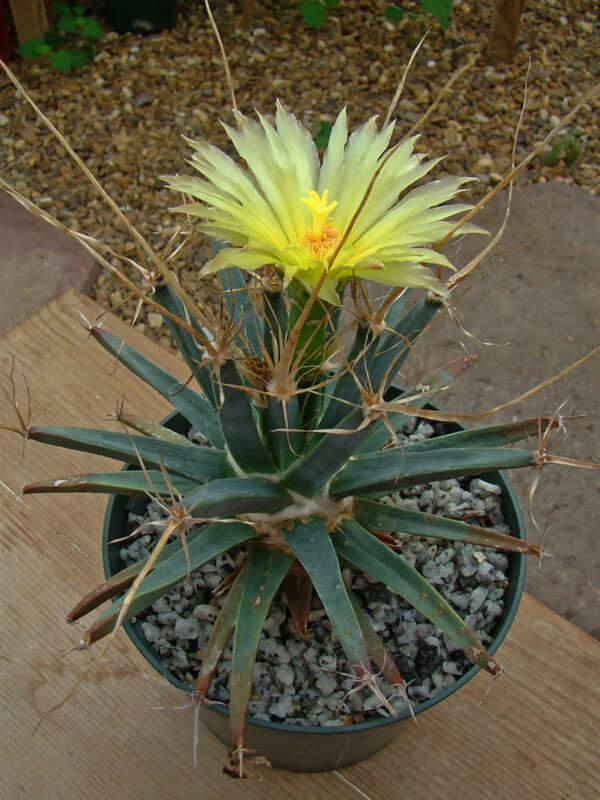 Native to north-central Mexico (San Luis Potosi, Chihuahua).